Following is an Op Ed written by President Donald J. Trump evaluating his first year in office. We at Powdered Wig are proud of our undying support for President Trump, who I predicted from the now-famous escalator ride (first video, below) and candidacy announcement speech at Trump Tower (second video) would become the greatest president in modern history, better even than Ronald Reagan. I was literally laughed at by people I knew and respected when I declared that Donald Trump would win the Republican nomination against a gauntlet of 16 of the best and brightest Republican candidates in history, the general election against an anti-American socialist slimeball with a tremendously powerful and ruthless political machine behind her, and would prove to become the best president in our lifetime and probably in history. I stand by those predictions and I am prouder today to be an American than at any other point in my life. Hang on, folks, this is only Year One. There are seven more left, God willing. It has been and will continue to be a glorious ride as together, and led by President Trump, we Make America Great Again. 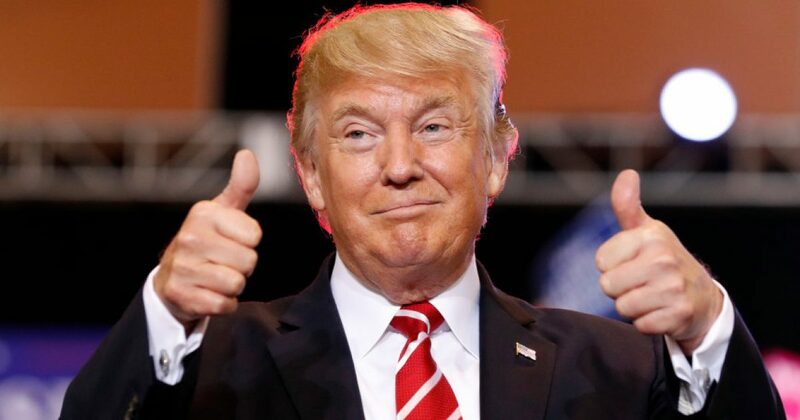 Honest, unpolished, and direct, citizen Trump, with ZERO political experience, announced his candidacy for President of the United States, taking on 16 of the brightest stars the Republican Party had to offer, the mainstream media, later to be clearly identified as so many leftist hacks aligned with the beltway establishment, The Obama and Clinton machines, and the noxious swamp they all inhabit, which Donald Trump was and is vowing to drain. As published in the Washington Examiner…. Even as Democrats continue to obstruct and play politics, I have never stopped fighting for the people, and I have no intention of changing course. I promised Jan. 20, 2017, would be remembered as a new day for all Americans – the day the people became the rulers of this nation once again. Estimates predict the U.S. economy grew at an annualized rate of more than 3 percent in the fourth quarter of last year – just like it did in the two quarters before that. The economy has created more than 2 million new jobs, and the unemployment rate has fallen to its lowest rate in 17 years: 4.1 percent. We have achieved the lowest African-American unemployment rate on record, and the unemployment rate for Hispanic Americans has also hit historic lows. Chrysler has announced plans to bring jobs and production back to the U.S. from Mexico. And the stock market continues to set record high after record high. Just before Christmas, we enacted massive tax cuts and tax reform for the American people. For the first time in 30 years, we reformed the tax code to make it simpler and fairer. We have lowered rates for both individuals and businesses, expanded 529 education savings accounts to be used for K-12 education, and doubled the child tax credit. These changes will not only allow Americans to keep more of their hard-earned money, but they will help make American workers and businesses competitive again. This sweeping reform also repealed Obamacare’s individual mandate – an unpopular, cruel, and burdensome tax that hit low- and middle-income Americans the hardest. As your president, I have unleashed our abundant American energy by ending the war on coal and approving major projects like the Keystone XL and Dakota Access pipelines. After 40 years of fights with those who want to keep America’s potential locked in the ground, we have opened a small portion of the Arctic National Wildlife Reserve to safe and responsible exploration and development. In recognition of the amazing job our military does protecting the homeland, a debt we can never truly repay, I am making sure this government fulfills its obligation to our veterans. We have already enacted major reforms to strengthen the Department of Veterans Affairs’ ability to provide high quality healthcare and benefits to millions of veterans and their beneficiaries. We have increased accountability, as the VA has fired 1,440 failing employees, suspended 430, and demoted 79, all as part of my efforts to make sure veterans get the help they need, in the time frame they deserve. Finally, I have filled numerous vacancies in our federal courts with judges who will interpret the law as written – including our exceptional new Supreme Court Justice, Neil Gorsuch. After one year, I am proud to report to the American people that we truly are making America great again – for all Americans! Donald J. Trump is president of the United States.